It keeps your 15-inch MacBook Pro safe. It practically disappears. Heck, it's probably misnamed. The first thing you need to know about a Douchebag is that the word “Douchebags” appears nowhere on the bag itself. Trust me, I looked, fearing giggled mockeries on the San Francisco Muni. The most you’ll find is a sleek “Db” logo peeking out from no less than six spots across the bag, along with a massive 2.5-inch monogram that hugs the small of your back when it’s worn. True, it looks a little like the “Op” logo that dominated T-shirts in the early ‘90s. Did those count as “douchey?” That’s something you’ll have to decide. For my money, though, this is a bag that has no right calling itself a “douchebag.” That’s not the case with some of the company’s other bags, admittedly, as it sometimes embraces style over substance. 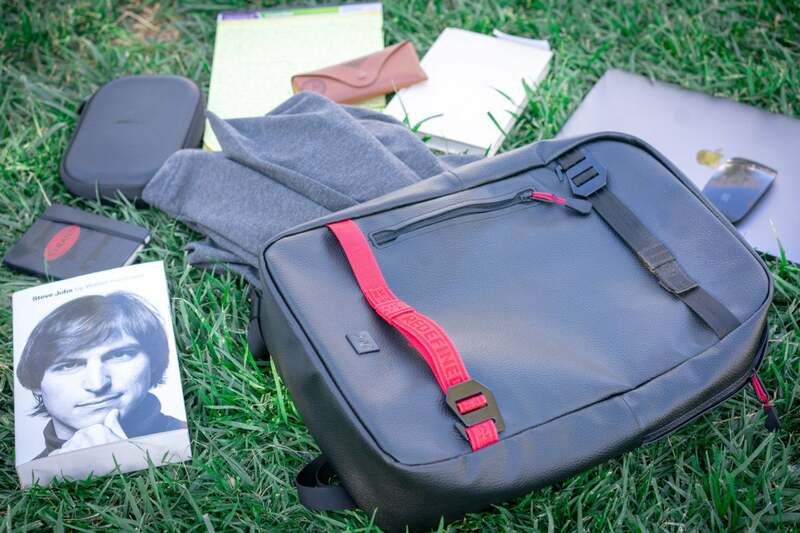 The Scholar, though, is practically understated; its only flamboyance being a bright crimson shining from one of the main front straps and the nylon zipper toggles. (Earlier models don’t even have that.) It’s so rectangular it’s almost square. The very name defies expectations. With a brand name like “Douchebags,” a name like “The Nerd” likely isn’t too far from the realms of possibility. The padding is pretty nice, too. Here’s the big plus: Yes, there’s a nice, comfy pouch inside for holding our MacBooks or MacBook Pros (or even our 12.9-inch iPads). In fact, it fits the 15-inch MacBook Pro so well—even with a case!—that I suspect the whole bag was designed around it. This initially surprised me, as the bag’s 10.8-inch by 15.7-inch dimensions don’t look all that big from the outside. That, of course, means that you shouldn’t try to stuff anything larger in there, but I’m happy to report that it’s padded well enough that ordinary bumps shouldn’t hurt your devices. The lining (which includes the MacBook sleeve) is entirely made of polyester. 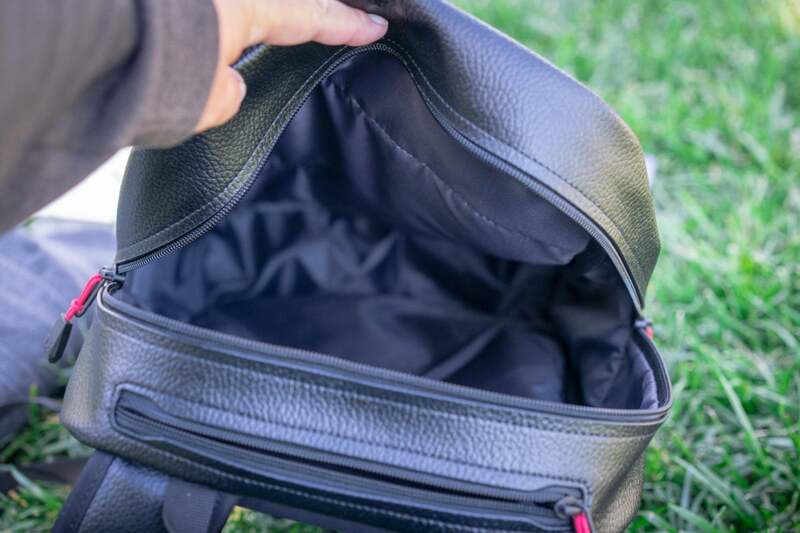 Almost everything else goes inside the four-gallon main compartment, aside from a top zippered pouch that’s big enough to hold a Moleskine pocket notebook and some AirPods (and which sometimes makes removing a MacBook from the sleeve a tiny hassle if it’s too full). 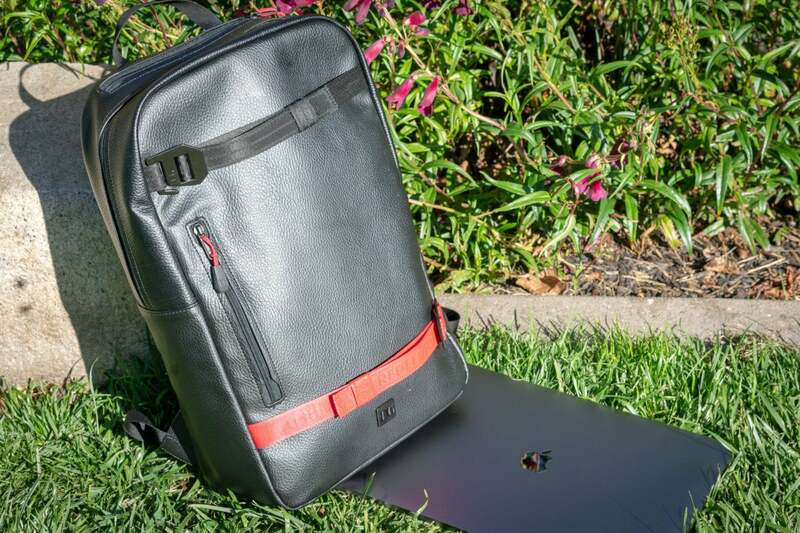 There’s also a slightly larger zippered compartment in the front that’s capable of holding larger items like a MacBook Pro charger and a small book, but that’s about where the extra storage space ends. I initially worried about stuffing it too enthusiastically. The exterior is clad in polyurethane leather (which looks better than it feels), but even with that it only weighs in at a mere 1.65 pounds. 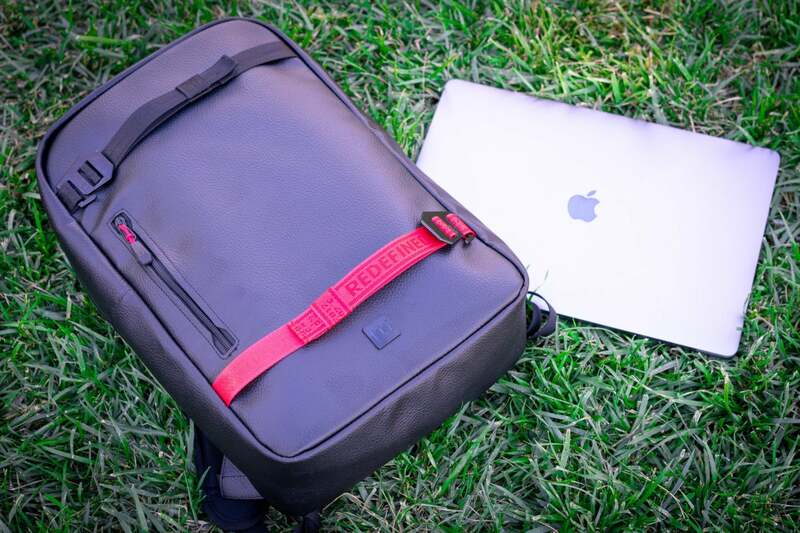 If we found the Saddleback Slim Front Pocket Backpack a tad too heavy, this one’s a featherweight. For that matter, I worried that I’d quickly start seeing those ugly white scuffs you often see with PU leather, but fortunately that hasn’t been the case. It’s tougher than it looks. In fact, I often forget how much I have stashed in it. Somehow the bag with the silly name is a marvel of weight distribution. It practically disappears. There was still some room in it, even with all this. This hit me like a revelation when I sat down at a coffee shop thinking I’d left my water bottle and battery pack at home because I didn’t “feel” their way pulling on my back. But no, there they were, along with a pair of headphones I had no memory of packing. Most of my worries about the Douchebag Scholar died in that moment. Douchebags would have you believe that the options above aren’t your limits for storing items, but they’re stretching it. Somewhat literally, too. A pair of inch-wide adjustable straps reach across The Scholar’s face, each 9.5 inches apart, with the idea being that you can use them to tether something in case of an emergency. Okay, sure. I tried it with a rolled-up hoodie. It works fine. But Douchebags’ marketing talks about slapping skateboards inside the roughly 10-inch space, and well…no. I couldn’t summon the courage to try it. The straps aren’t garbage and they’re held in place by metal fasteners, but it doesn’t take great leaps of the imagination to envision the skateboard ripping from the PU leather and slamming on the toes of a nice old lady behind me on the subway. And then, my friend, wouldn’t you feel like a douchebag in that moment? I thought so. The PU leather is pretty shiny in the sunlight. But by all means, take it on the train. (It’s up to you if you want to being the skateboard.) I love that the depth of a mere five inches keeps the Scholar close to your back, which ensures other passengers won’t think I’m a jerk for taking up too much room on a crowded San Francisco streetcar. Other people will barely notice it. And again, you’ll barely notice it, so impressive is the weight distribution. So considerate. So understated. 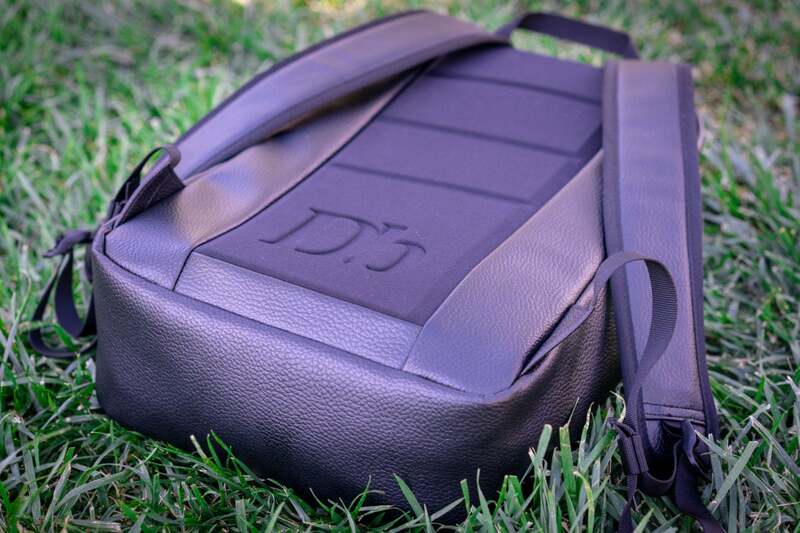 Again, it almost feels insulting to call a bag this good a “Douchebag.” If they’re out to reappropriate the term, then they’re doing a fine job of it.